1st item: 18K yellow gold ram’s head ring with adjustable fluted wrap band, marked 750, 9.8 grams. 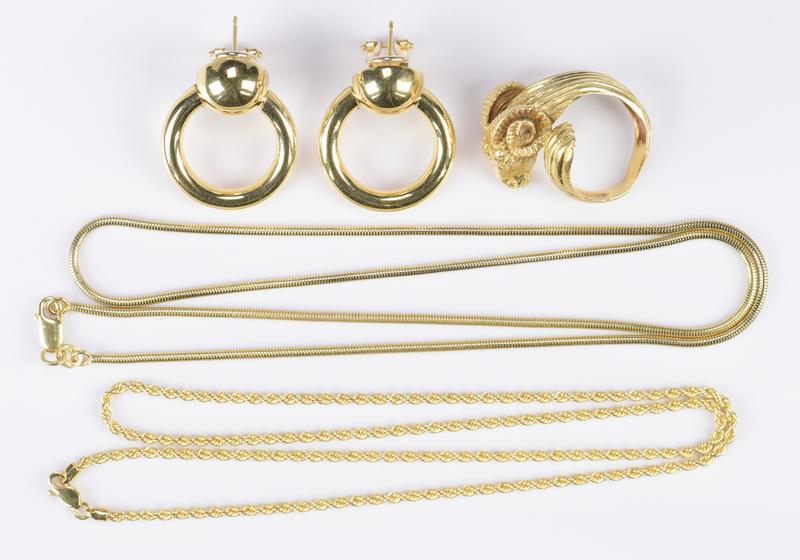 2nd item: Pair 18K yellow gold doorknocker earrings with clip/post backs, marked 18K Italy, 1 1/8″ L, 10 grams. 3rd item: 18K yellow gold tube chain necklace with lobster claw clasp, marked 18K Italy, 20″ L, 10.6 grams. 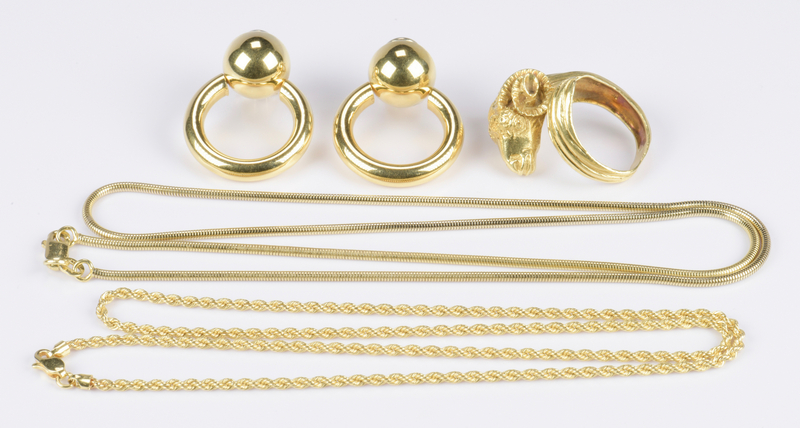 4th item: 18K yellow gold thin rope chain necklace with lobster claw clasp, 18″ L, 3 grams. 33.4 grams total of group. Estate of Jane McKinnon, Lenoir City, TN. CONDITION: All in very good condition.